We know what happens to pools over time. 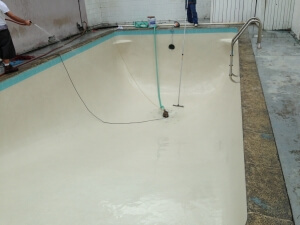 Debris, algae, and chemical build-up can all add to the pool’s plaster becoming discolored. This is an aesthetic problem that can be corrected with our Acid Wash service. Also known as Drain and Clean, our Acid Wash service will help renew your plaster’s color. Our technicians know exactly how to help take your pool back to clean and perfect. How Does the Acid Wash Work? True to the name, we use acid to remove the top layer of the plaster in the pool. The fresh plaster underneath the discolored plaster is of one color, and will give the pool a clean look. (Do not worry, pools always have at least 1/2” of excess plaster, so the acid wash will not break the pool plaster.) The general ratio of acid to water is 50/50. We first drain the pool of all its water to get to the plaster. After mixing the acid into the water (we mix the acid into the water always to prevent the container from melting) we pour the mixture around the edges of the pool. We use a brush to scrape off a very small layer of plaster, revealing the clean plaster underneath. Only as needed. Although a few acid washes will not wreck the existing plaster, many acid washes will. 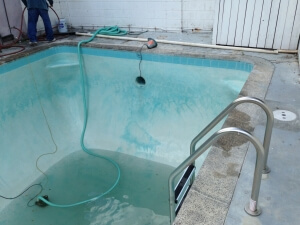 The more often a pool gets acid washed, the more often the plaster will need to be redone. Many pools are washed with acid when the pool water has remained stagnant for a long period of time. Stagnant water causes algae to grow and debris to settle on the plaster, creating discoloration. In some cases, acid washes are needed on pools that have chemical buildup on the walls and floor. Let us restore the plaster in your pool. 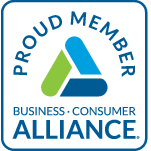 Call Living Water Pool Service today for a free quote.